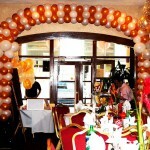 Double wedding balloon arch in a restaurant. 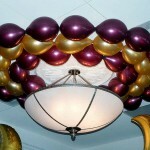 Great way to set the mood and to enhance the colors of the theme. 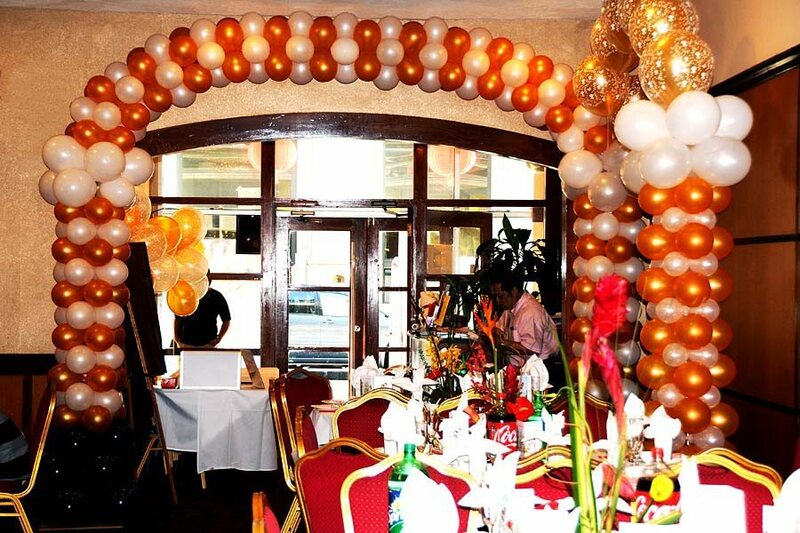 At this particular party there were these two arches balloon decorations of the wedding cake and balloon centerpiece on every table.